A comprehensive tool for protecting private data and securing files! 1-abc.net Security Box 6.00 was available as a giveaway on September 13, 2017! 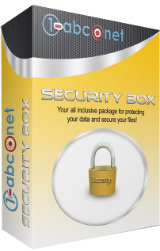 1-abc.net Security Box is a comprehensive tool for protecting private data and securing files. It integrates a password organizer, personal diary, file encrypter, file washer, backup and synchronizer to improve the overall security of your system. Password Organizer is a management tool for creating and organizing all your login and password data. 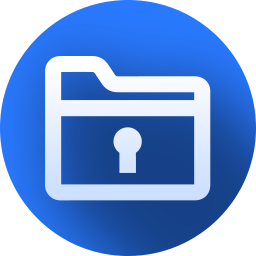 Personal Diary helps you remember your ideas and save them in a secured and highly encrypted file. It also uses different encryption methods, such as AES, Caesar, Blowfish, Twofish, Simple HEX Encoder, Serpent, MARS and TEA. For saving important data on external drives or other places on your system, Backup module is the tool to use. Backups can also be scheduled to run automatically. Synchronizer module compares files in different folders and copies the newest ones to both folders. It can be used on FTP servers too. File Washer is the module to use to permanently delete files from your hard drive, so they can never be recovered. How would you improve 1-abc.net Security Box 6.00? Your all-inclusive package for fast, easy and secure Windows optimization. 1-abc.net Utility Box combines 19 powerful Windows cleaning and optimization tools to a powerful program that helps you keep your system running fast and secure. Get 1-abc.net Utility Box 8.00 for $19.99 instead of $44.99! I keep getting this error message: "Failed to connect. Please try again later." How do we obtain the activation code? MsLNC, please read the answer from Helen to Ben (# 4). This is an older version. The current version does not mention Win 10, but the FAQs mention it. All I was able to see was they offer a lifetime satisfaction offer that will allow you to choose another offering-not money back. Not enough here to warrant a download and install. John Davidson, Re "... not money back." Today you yet it for free. You do not pay a cent or penny. Re "This is an older version." The demo also runs. John Davidson, Re "... not money back." Today you yet it for free. You do not pay a cent or penny. Re "This is an older version." The demo also runs. Tried for HOURS on different browsers to register. All I get is a beautiful white page with .... Could not send e-mail..... on the top. How to trust SUCH a software? please note that program comes pre-registered that is why readme file includes no registration process description! Hello Benni, please note that program comes pre-registered that is why readme file includes no registration process description! GOTD description states is Win 10 compatible but developer's website does not mention windows 10 in the comparability listing. How is the licence for? What happens to data if/when licence expires? Some answers would be good. GOTD description states is Win 10 compatible but developer's website does not mention windows 10 in the comparability listing. Will this work with Windows 10? How is the licence for? What happens to data if/when licence expires? Some answers would be good. 4x4, Re 'Will this work with Windows 10?" Yes. As usual, I tested it on a virtual Windows machine and copied the programme folder to a real W10 machine. It runs fine there. Re "How is the licence for?" If nothing is mentioned - like today - the licence is perpetual. But you cannot/may not update it. 4x4, Re 'Will this work with Windows 10?" Yes. As usual, I tested it on a virtual Windows machine and copied the programme folder to a real W10 machine. It runs fine there. Re "How is the licence for?" If nothing is mentioned - like today - the licence is perpetual. But you cannot/may not update it. Installed OK BUT I cannot/will not start using it until I find out the developer's/GAOTD licence conditions. There is no information supplied regarding these. If, at some point in the near future, I am suddenly obliged to start paying to maintain the security initially provided by the GAOTD licence then I am not going to be very happy! On the other hand, if I already know the conditions of the GAOTD licence then I can freely decide whether or not I want to start using the program! I hope the details of the GAOTD licence are published here soon. Installed OK BUT I cannot/will not start using it until I find out the developer's/GAOTD licence conditions. There is no information supplied regarding these. If, at some point in the near future, I am suddenly obliged to start paying to maintain the security initially provided by the GAOTD licence then I am not going to be very happy! On the other hand, if I already know the conditions of the GAOTD licence then I can freely decide whether or not I want to start using the program! I hope the details of the GAOTD licence are published here soon. OK....is this a lifetime license? Or 6-months/1-year rental-ware? Updates? Compatible with Win-7, Win-10, or? A tad more info please? The "System Requirements" above says this software is compatible with Windows 7 & Windows 10. #1. CM I don’t see “system requirements above” in the display above. You must be looking at something different than I am. #2 I went to the poorly designed website and it doesn’t list much of anything. a. How long is the GAOTD good for….a year, 6-months, etc. c.	What happens when the “free trial” runs out? No more use/upgrades/etc. HellsBells, why You never see the the system requirements? Have you blocked it? First, I ONLY addressed your comment about compatibility with Windows 7 & windows 10. I did NOT address any of your other concerns. Now, if you look at the early part of this web page, under the link to download the software, to the right there is a section with information about the software. The very first entry is titled "System Requirements" -- I don't know how much clearer I can tell you where the section titled "System Requirements" is! By the way, this section is on ALL web pages of the software giveaways. First, I ONLY addressed your comment about compatibility with Windows 7 & windows 10. I did NOT address any of your other concerns. Now, if you look at the early part of this web page, under the link to download the software, to the right there is a section with information about the software. The very first entry is titled "System Requirements" -- I don't know how much clearer I can tell you where the section titled "System Requirements" is! By the way, this section is on ALL web pages of the software giveaways. HellsBells, Re "OK....is this a lifetime license?" Yes. If the licence is not perpetual, its duration is always mentioned on this page and in the readme. But you may not update it to a newer version, nor are you allowed to use it commercially. That includes schools and churches. You may only use it yourself on your own computer for personal applications. HellsBells, Re "OK....is this a lifetime license?" Yes. If the licence is <b>not</p> perpetual, its duration is always mentioned on this page and in the readme. But you may not update it to a newer version, nor are you allowed to use it commercially. That includes schools and churches. You may only use it yourself on your own computer for personal applications. krypteller, less than perpetual licenses are not always mentioned in the description above but are frequently reveled mid giveaway by users that have tried it out and spotted a limit in the registration status, which is then confirmed one way or another And I have never seens mention of license time limit duration in any GAOTD bundle readme.txt I have seen, which could be due to me never downloading such extended trial licensed products or rentalware giveaways. krypteller, less than perpetual licenses are not <b>always</b> mentioned in the description above but are frequently reveled mid giveaway by users that have tried it out and spotted a limit in the registration status, which is then confirmed one way or another And I have never seens mention of license time limit duration in any GAOTD bundle readme.txt I have seen, which could be due to me never downloading such extended trial licensed products or rentalware giveaways. TK, Most giveaways here look for updates by default at every start. If the user forgets to de-activate that, he will surely lose his licence at the next update. Simply because the user forgot something. You cannot blame Giveawayoftheday for that. You can only blame yourself for not checking all settings. Sometimes these settings cannot be fould in the menu, but only by checking the registry keys and the %AppData% settings. That is one reason I make a Cameyo portable on a virtual machine and run it on a real computer. If that Cameyo loses its licence because of an unforseen update, I just have to clear the working folder of the Cameyo and presto! I have a clean install once again, fully licenced. TK, Most giveaways here look for updates by default at every start. If the user forgets to de-activate that, he will surely lose his licence at the next update. Simply because the user forgot something. You cannot blame Giveawayoftheday for that. You can only blame yourself for not checking all settings. Sometimes these settings cannot be fould in the menu, but only by checking the registry keys and the %AppData% settings. That is one reason I make a Cameyo portable on a virtual machine and run it on a real computer. If that Cameyo loses its licence because of an unforseen update, I just have to clear the working folder of the Cameyo and presto! I have a clean install once again, fully licenced. TK, I replied to "... spotted a limit in the registration status ...". krypteller, WOW all that flooded out of that? "spotted a limit" means found something like 325 days remaining in the About dialog! Not they found a year or two later the program was no longer registered ... or had silently upgraded itself... I MEANT and thought I had implied that all this went on on the DAY of the giveaway! I personally don't rely on programs in built mechanisms to avoid unwanted update checks when they don't exist, that's what firewalls, route tables, host files are for. And that was not the issue! Sometimes it is found out by the product itself being rentalware on the vendors website and the fact is not mentioned in the description and only becomes apparent in the comments section later in the giveaway, which may then prompt GAOTD team to add a license limitation tag line to the description. The fact is we are not ALWAYS told in advance of additional to standard giveaway terms license limitations which was my point. Conversely with some giveaways we learn during or after a giveaway that licenses come with additional rights like business use is permitted by the vendor or the vendor supports the giveaway license for minor version updates, or as found recently in one giveway even major version upgrades can be downloaded and installed and the giveaway remains activated. krypteller, WOW all that flooded out of that? "spotted a limit" means found something like 325 days remaining in the About dialog! Not they found a year or two later the program was no longer registered ... or had silently upgraded itself... I MEANT and thought I had implied that all this went on on the DAY of the giveaway! I personally don't rely on programs in built mechanisms to avoid unwanted update checks when they don't exist, that's what firewalls, route tables, host files are for. And that was not the issue! Sometimes it is found out by the product itself being rentalware on the vendors website and the fact is not mentioned in the description and only becomes apparent in the comments section later in the giveaway, which may then prompt GAOTD team to add a license limitation tag line to the description. The fact is we are not ALWAYS told in advance of additional to standard giveaway terms license limitations which was my point. Conversely with some giveaways we learn during or after a giveaway that licenses come with additional rights like business use is permitted by the vendor or the vendor supports the giveaway license for minor version updates, or as found recently in one giveway even major version upgrades can be downloaded and installed and the giveaway remains activated.